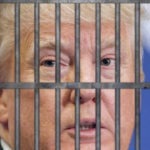 Whenever Palmer Report lays out the argument for why Donald Trump is more likely to be in prison by 2020 than to be a candidate in the 2020 election, we inevitably face pushback from cynics who think Trump will simply never face the consequences of his criminal actions. It doesn’t help that cable news is still insisting he’ll be the 2020 Republican nominee, despite all evidence to the contrary. But now it turns out an influential U.S. Senator agrees with us. Earlier this month Palmer Report urged the 2020 Democratic candidates for president to keep in mind that the 2020 Republican nominee will probably be someone other than Donald Trump, and to plan accordingly. We don’t think Senator Elizabeth Warren is sitting around reading Palmer Report, but she is thinking along the same lines we are. In fact she spelled it out quite clearly today. Warren told attendees at a campaign rally over the weekend that “By the time we get to 2020, Donald Trump may not even be President. In fact, he may not even be a free person.” It’s about time a national political figure finally said it. Even if Robert Mueller’s big endgame is merely enough to oust Trump, and not to put him in prison, the minute Trump steps out of office, New York will arrest him on state level felony charges – and those can’t be pardoned. So yeah, it’s time for the participants and observers in the 2020 presidential race to acknowledge that Donald Trump is more likely to be in prison by 2020, or out on bail while awaiting trial, than he is to be running for reelection in 2020. And after Trump hit Elizabeth Warren this weekend with one of his ugliest attacks on her to date, it’s clear that she’s not backing down one inch.